Product prices and availability are accurate as of 2019-04-21 18:26:53 UTC and are subject to change. Any price and availability information displayed on http://www.amazon.com/ at the time of purchase will apply to the purchase of this product. 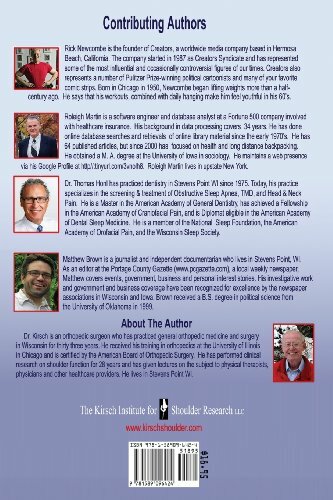 Orthopedic surgeon, John M. Kirsch, M.D., has developed an exercise protocol that eliminates 99% of shoulder pain. It’s not just non surgical, it’s free. 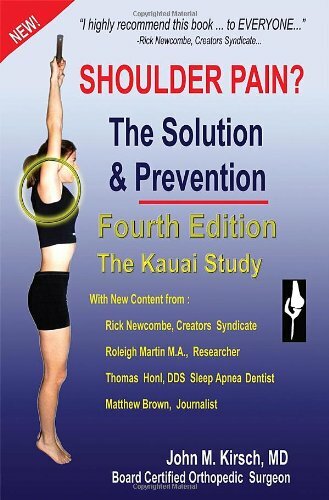 If you have shoulder pain, you need this book. 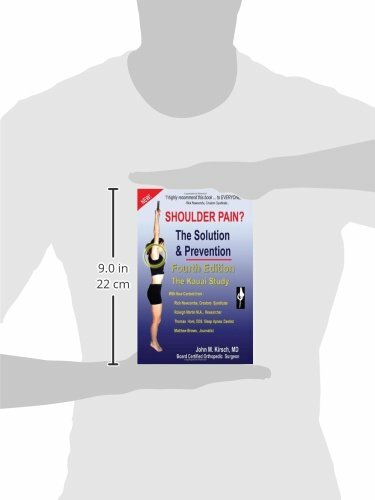 This is a self-help book written by John M. Kirsch, M.D., an Orthopedic Surgeon for the public. It is the result of 25 years of research into a new and simple shoulder exercise program to treat and prevent rotator cuff tears, the impingement syndrome, and the ''frozen shoulder.'' Testimonials and research CT scan images are included, as well as images of the exercises performed by models and patients.